Jack Dillon Young, 21, was sentenced Friday to 55 years for a 2017 crash that left 13 people dead. 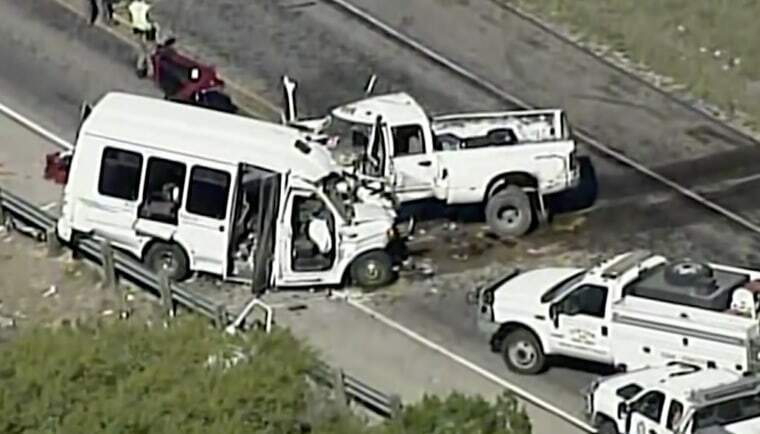 UVALDE, Texas — A driver has been sentenced to 55 years in prison for causing a Texas church bus crash that killed 13 people. Jack Dillon Young, 21, of Leakey, Texas, was sentenced Friday after pleading no contest on May 31 to 13 counts of intoxication manslaughter and one count of intoxication assault. He had faced up to 270 years in prison after a three-day sentencing hearing. Prosecutors said Young was driving his pickup while under the influence of a prescription sedative and had smoked marijuana before colliding with a church bus in March 2017 on U.S 83 near Uvalde, about 75 miles west of San Antonio.